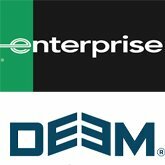 Enterprise Holdings, which calls itself the world’s largest car rental company, announced its intent to acquire Deem, a San Francisco-based managed travel technology platform. Deem’s products include Deem Work Fource and Deem Ground Work, a suite of online booking and travel technology products for business travelers, travel managers, travel-management companies and suppliers. More than 50,000 corporate customers and the world’s largest travel-management companies already use Deem’s travel and ground transportation software, according to the announcement. Upon final acquisition, this transaction would provide Deem with an infusion of capital and resources to help further expand its product roadmap and increase the pace of product development and enhancements. Enterprise has been a minority investor in Deem since 2016 and Deem has provided the technology behind Enterprise’s EHIDirect travel booking platform for small and medium-sized corporations. Deem will continue to operate autonomously from its Silicon Valley headquarters and offer its products to other providers.